Marion Oaks — Sunday, at approximately 2:00 p.m, Marion County Sheriff’s Deputy J. Clark responded to the 3700 block of Southwest 150th Loop, Marion Oaks, in reference to a battery on a 8-year-old female victim. The juvenile had been shot in the throat with an Airsoft gun while she played outside her grandfather’s home. The victim’s grandfather was outside with the children at the time of the incident. According to reports, two males slowly drove a vehicle up into the grandfather’s yard, but stayed parallel to the road. The driver then leaned back in his seat, while the passenger shot the child directly in the center of her throat. The vehicle then sped off. Witnesses said they could hear the victim scream. The suspects yelled something just before they shot the victim, but no one could make out what had been said. 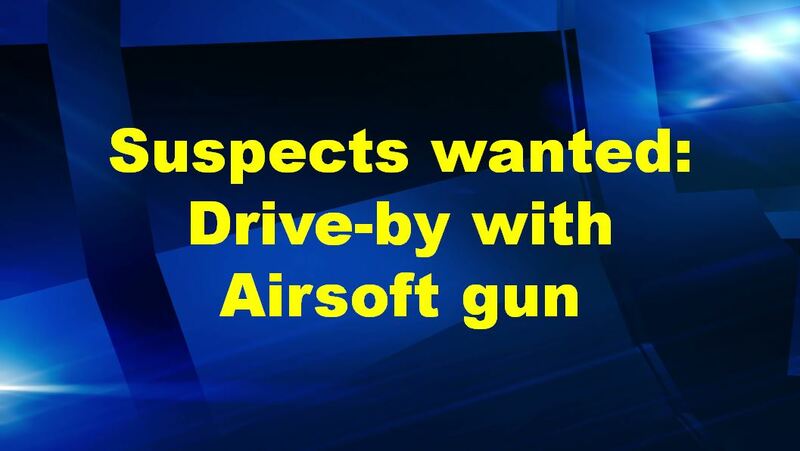 Witnesses said the passenger took his time and looked through the sights before he fired the Airsoft gun. The deputy noted that the mark from where the child had been shot was still visible when he arrived. The passenger was described as a skinny teenager, between the ages of 14 to 17, with “spiked” brown hair. Both suspects were described as white or possibly light skinned Hispanics. According to reports, someone had called and reported a reckless driver in that same area on Saturday. The description of the vehicle matches the one from Sunday afternoon. If caught, the suspect faces charges of Simple Battery. Officials said thankfully the child was not hit in the eye. If you have any information about this crime, please call the Marion County Sheriff’s Office at 352-732-9111, Crime Stoppers at 352-368-STOP, text a tip to 274637 using keyword 368-STOP, or visit www.ocalacrimestoppers.com. Anonymity is guaranteed.